Here’s something we don’t get to say very often: there is big and legitimately good news coming out of the Supreme Court in the form of two cases: Conagra Grocery Products v. California and Sherwin-Williams v. California. Ten California governments, including Los Angeles County, brought a public nuisance suit against companies who once sold lead paint. California lawyers successfully argued that “cumulative, coordinated promotional efforts were enormously successful, resulting in sustained, increased, and prolonged use of lead paint in residences throughout the jurisdictions.” A state court judge in Santa Clara County ruled on the side of California and an appeals court upheld the judgement. 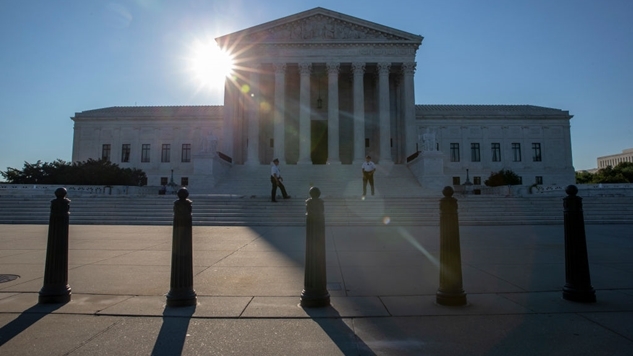 Sherwin-Williams Co. and Conagra Brands Inc. appealed the ruling to the Supreme Court, where their argument was rejected for a third time. The companies named in the lawsuit will have to pay a $409 million fine, but that’s not the main reason why this ruling is so encouraging. On the whole, that’s a relative pittance for Sherwin-Williams ($14.98 billion in 2017 revenue) and Conagra Brands ($7.83 billion in 2017 revenue), but the precedent is what is so vital. That $409 million-figure was based on covering the cost of inspection and abatement in more than a million homes built since 1951. The lower court ruling upheld by our historically pro-business Supreme Court establishes a precedent that businesses who make products which they know to be deadly must literally pay for their offenses against humanity. It’s pretty simple: despite companies like Sherwin-Williams downplaying the lethality of lead paint for years, now that we live in a time which considers its danger to be unimpeachable, even a conservative Supreme Court believes that conglomerates like Sherwin-Williams should have to pay to clean up the poison they spread into the world. Climate change is scientifically unimpeachable, and despite what the politicians who are on the payroll of our energy companies say, our energy companies accept that it is real. Chevron released an entire investor report centered around forecasting carbon prices. They have clearly demonstrated they understand that their carbon emissions directly affect their bottom line in the form of regulation designed to curb the amount of poison that companies like Chevron pump into our atmosphere. Combine that with decades of disinformation put out by America’s energy industry on the topic of climate change, and you can put together a pretty compelling “public nuisance” case in the same vein as the lawsuit that Sherwin-Williams and Conagra Grocery Products just lost. This is a major precedent event in the fight against corporations who literally kill us. This kind of ruling could also be extended to opioid manufacturers. Over 115 people die each day after overdosing on opioids. The reason behind this hellish reality is that in the 1990s, pharmaceutical companies convinced the medical community that patients would not be addicted to their highly-addictive product, and a massive campaign to prescribe them subsequently flooded these conglomerates with blood money, which allowed companies like Purdue pharma to pump out even more opioids into the market, leading us to the Oxycontin-fueled haze that is 2018 America. It could also extend to gun manufacturers. Hell—we don’t even need to get science involved to prove how deadly their product is—deadliness is the entire point of a gun, and the content on NRATV is all you really (should) need in order to demonstrate wilful negligence on the part of America’s gun manufacturers. Capitalism has run amok in America, and we have been brainwashed into thinking that the market is not responsible for its messes, except in extreme cases like vast oil spills. Now, the Supreme Court has upheld a ruling asserting that paint companies need to pay to clean up their deadly lead paint. While $409 million may not be much, compare that to the estimated $54 trillion in damage that an increase in 1.5 degrees Celsius would have on the planet (to put that staggering figure in context, global GDP in 2017 was about $75 trillion), and any American company contributing to carbon emissions now must think twice about the true cost of their poisonous operation.